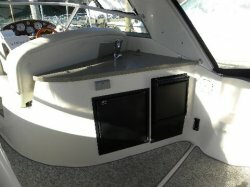 Length: 34 ft. 0 in. 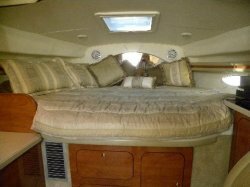 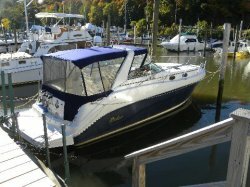 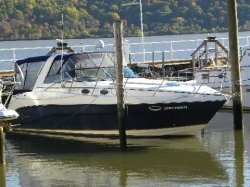 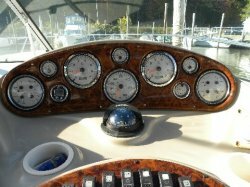 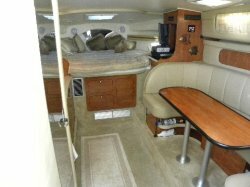 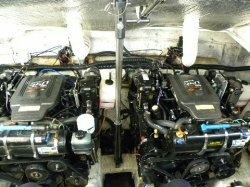 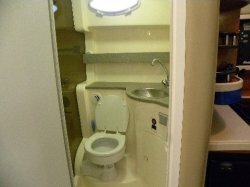 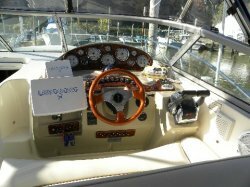 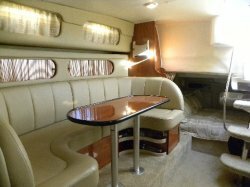 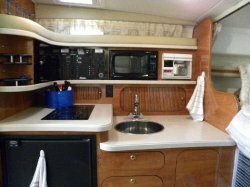 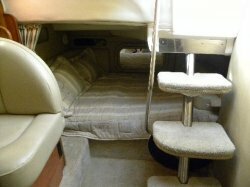 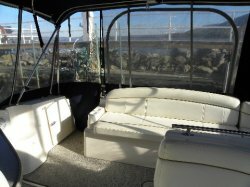 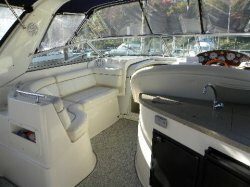 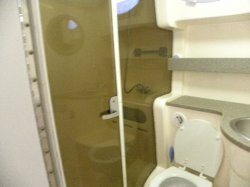 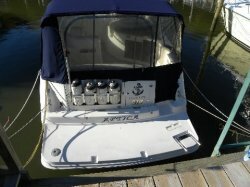 A MID SIZE FAMILY CRUISER WITH SPACIOUS INTERIOR, SOLID FIBERGLASS MODIVIED V HULL, AND MID CABIN FLOORPLAN. 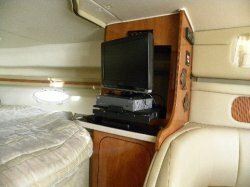 SPECIAL FEATURES ARE VHF RADIO, GPS CHARD PLOTTER, KENWOOD STEREO-6 CD EXCHANGER, COCKPIT WET BAR WITH REFRIGERATOR-ICE MAKER AND BLENDER, FULL SPACIOUS GALLEY ITH MICROWAVE AND COFFEE MAKER, FULL STANDUP HEAD WITH ELECTRIC QUIET FLUSH TOILET AND SEPARATE SHOWER, 19â FLATSCREEN TV WITH DVD, 5 KW GENERATOR, AIR CONDITIONING WITH REVERSE CYCLE HEAT, ANCHOR WINDLASS, RADAR ARCH, BIMINI TOP WITH ENCLOSURE AND CAMPER BACK, BLUE TWO TONE HULL SIDE, STERN MOUNT BBQ GRILL, KVH TRACKVISION SATELLITE TV SYSTEM, TRANSOM HOT COLD SHOWER, COCKPIT CARPETING, AND TWIN MERCRUISER 350 HORIZONS WITH FRESH WATER COOLING AND BRAVO THREE DRIVES.